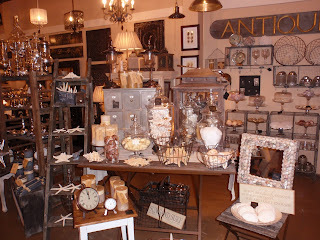 Just a quick post to tell you all about a great home decor store that I discovered while wandering through unique boutiques and finding somewhere for a quick bite to eat. Located at 22914th St., on one of Astoria's downtown side streets, Ambiance was so welcoming, charming and filled with many of my favorite things! 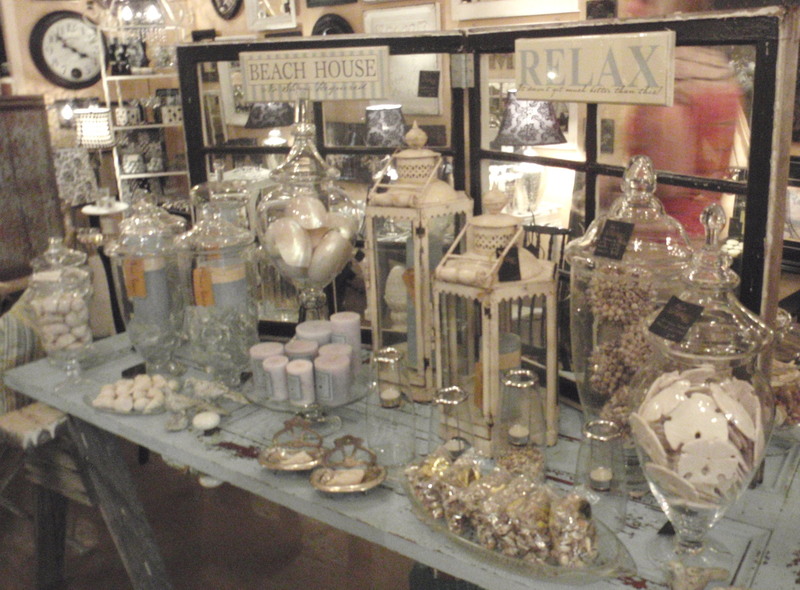 Wandered in and fell in love with all they had to display, Archipelago Candles (my VERY favorite! 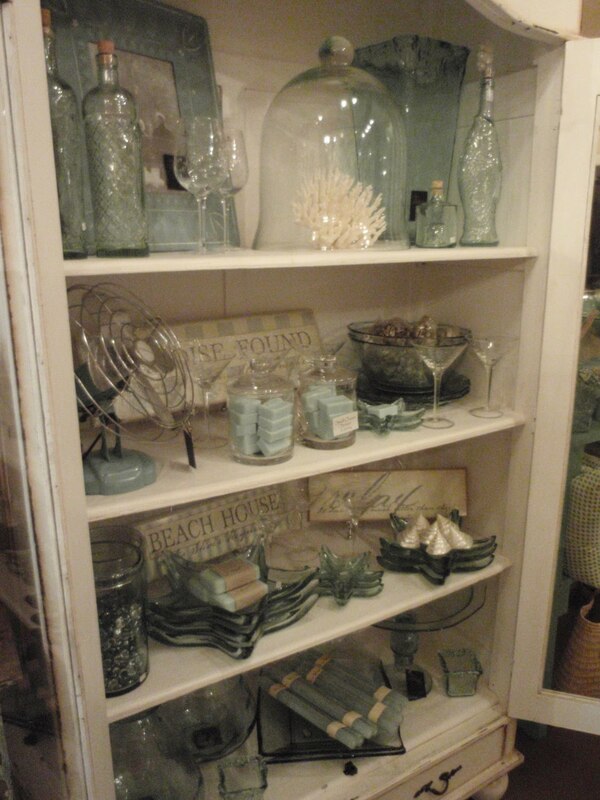 ), chunks of collector coral, polished sea shells, wine glasses with etched swimming fish and "found" items like old seaside windows and clam buckets. 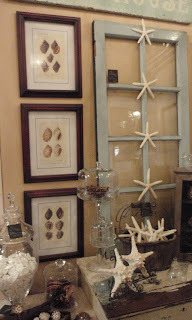 Botanical seashell art, driftwood pieces, oh so much to look at and touch - I was in heaven! Can you see the vintage fan on this shelf? And the white coral? Don't worry, I did ask Londa, one of the owners, if I could take pictures before I started shooting these! Look at how seashells are displayed in glass containers... love the seaside signs and the table that is an old blue door. 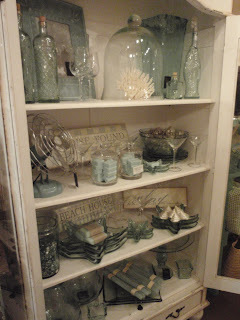 Londa was wonderful, and I am so happy to be able to show some of her inviting store! 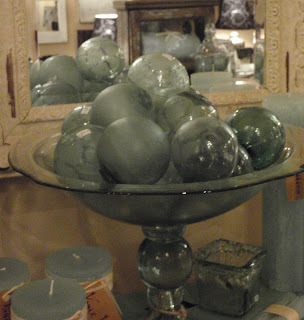 These vintage green floats ($12.95) were gorgeous and displayed beautifully all piled together in a unique recycled glass bowl. Sometimes something so simple can be so beautiful! If you ever have the chance to drive Hwy 84 from Portland to the Oregon Coast, make sure that you have enough time to stop and wander, and stop in and say "hi" to the owners at Ambiance! Love all the glass fishing floats in the bowl..., I hear that Astoria is a pretty cool coastal town too!! 229 14th St... Looks a little difficult to decipher from your post above... Also, note that I 84 stops at the river in Portland, and to continue West towards the coast in order to get to Astoria you must take either HWY 30 through St. Helens, or Hwy 26 to 101... Don't want people ending up in the Willamette River on their search for the Oregon Coast!